A wet and windy day in Essex today. My oldest son is playing football and will be really muddy when he gets home. 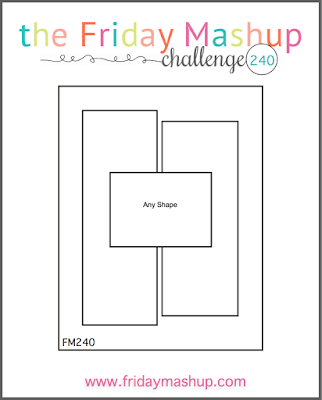 Taking the time to enter the Freshly Made Sketch challenge before the washing begins! 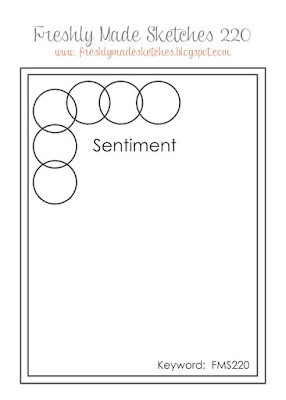 sentiment stamp I had so I designed my card around it. 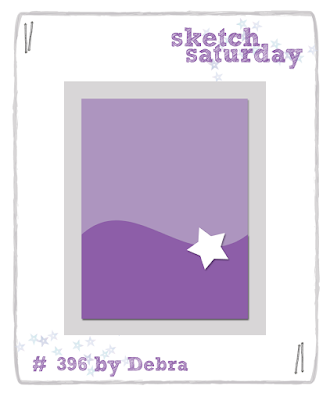 I love the sketch for Sketch Saturday. 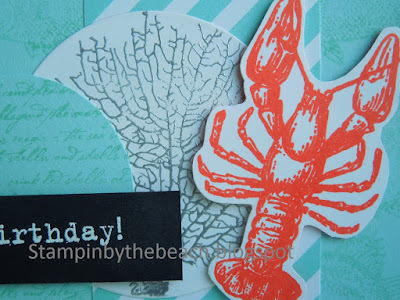 I used my By the Tide stamp set from Stampin Up again! 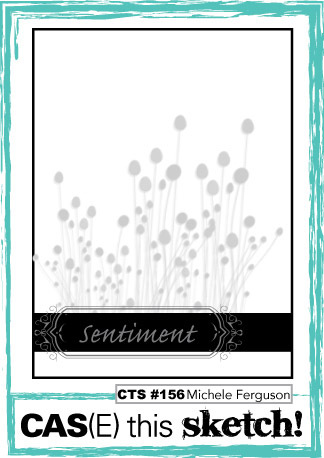 Its a nice clean and simple card that I'm pleased with. A beautiful sunny day today in Essex. I made this card yesterday but run out of time to enter the Mojo Monday challenge. I have an hour before my friend comes for lunch, so need to type quickly! I decided to make a valentines card for this challenge, but once I finished I think it could be used as a Birthday or Thank You card also. 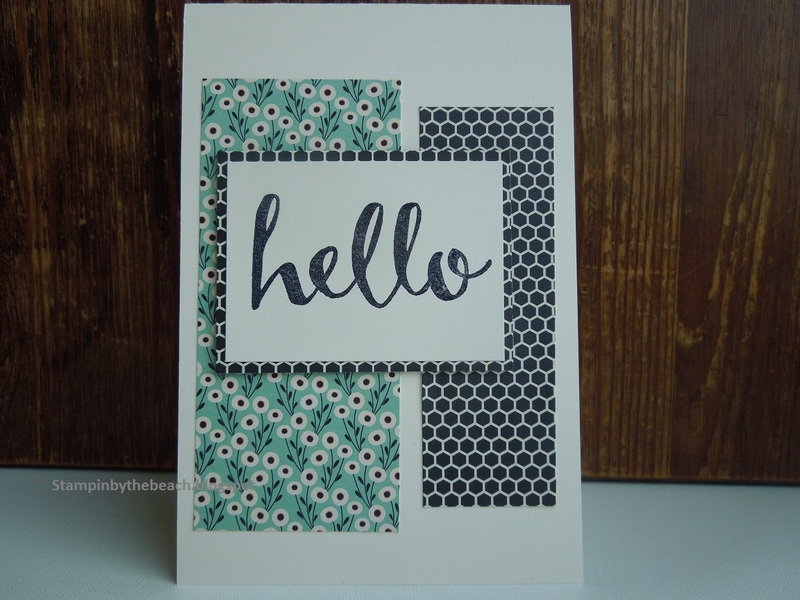 I used the Soft Sky paper from the subtle colour collection. 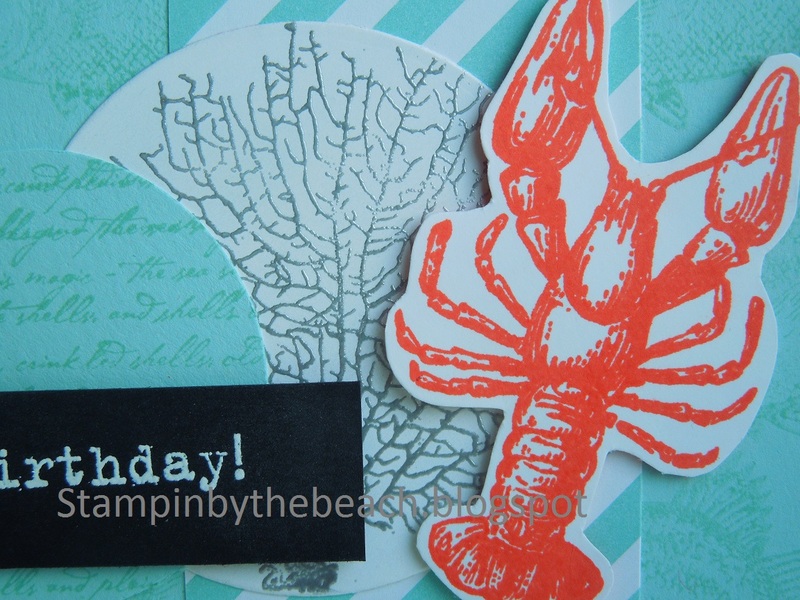 I can't stop using the By The Tide stamp set, I just love the lobster stamp. I went for the red white and blue colour scheme today. 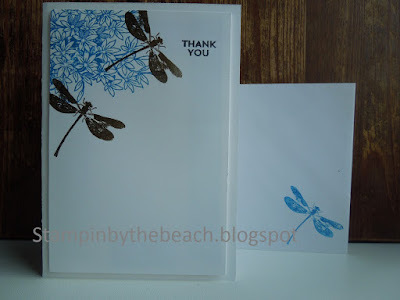 I used silver and white embossing powder which gives a bit of shine to the card. 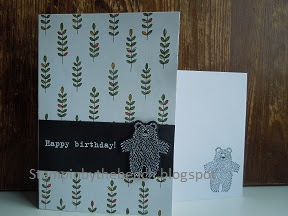 into my craft room, so today I made two cards to make up for it! 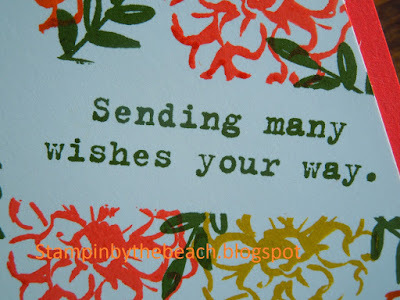 It's a windy day here today, it's lovely and snug in my craft room. I might not get back in here for a couple of days so making the most of it today. 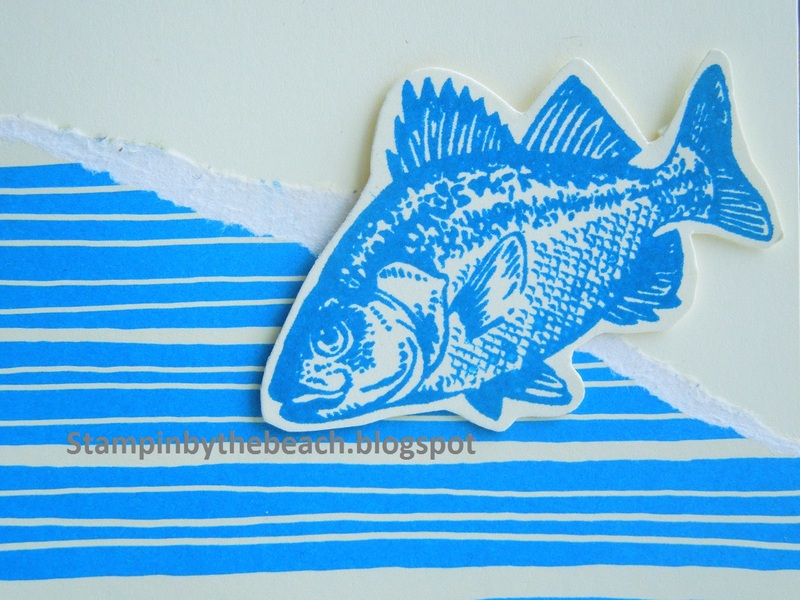 I loved the paper so much I thought I would stick some at the bottom of the inside of the card as well. I like the look of it and you can see the paper peeking out when it's standing. 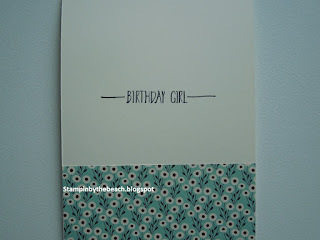 I used very vanilla card, as it went with the DSP, but I don't have any envelopes to match! 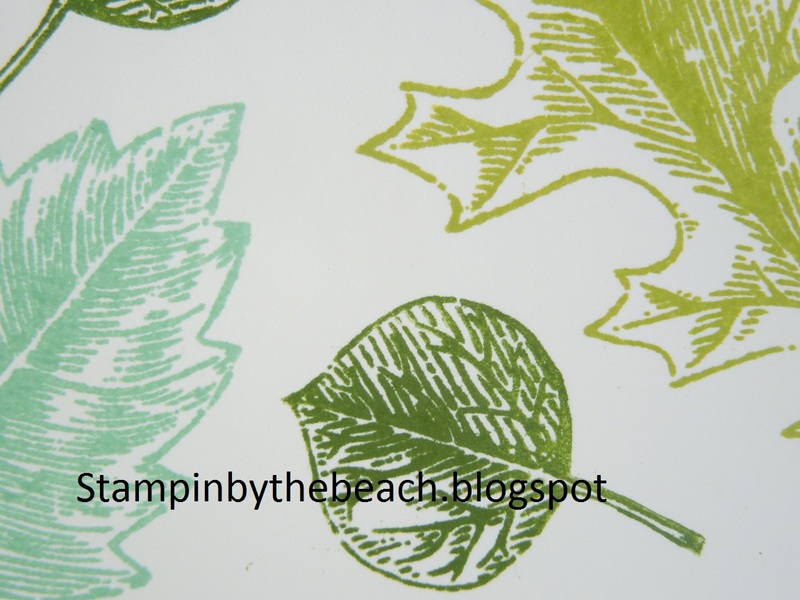 It's a lovely mild day today in Essex, its always good to get back into the craft room after the weekend. 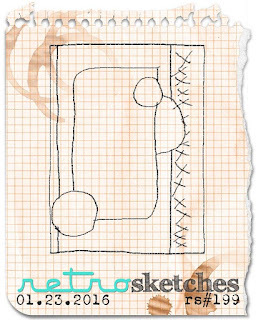 So after a pile of ironing I spent some time making a card for Case This Sketch. I like to decorate the envelope and inside the card as well. This bear is so cute and I use him a lot. I used the Wildflower Designer paper from the Sale a bration catalogue for the background. 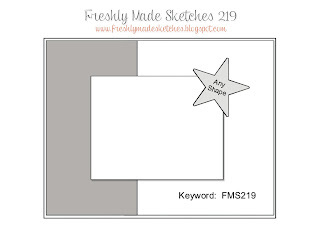 I loved the sketch for this weeks Freshly Made Sketches but nearly left it too late to enter! I gold embossed the dragonflies and raised the layer onto dimensionals. I went for a CAS look. I decorated the envelope and the inside of the card as well. 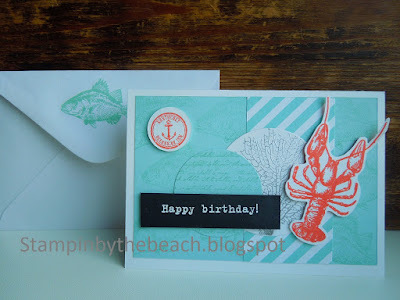 I used By The Tide stamp set for this card. It's from the main catalogue and I have just received it, so it's new to me. 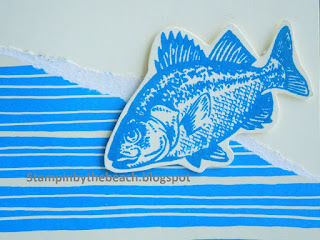 I had to have a stamp set which involved the sea as I live so close to the beach! 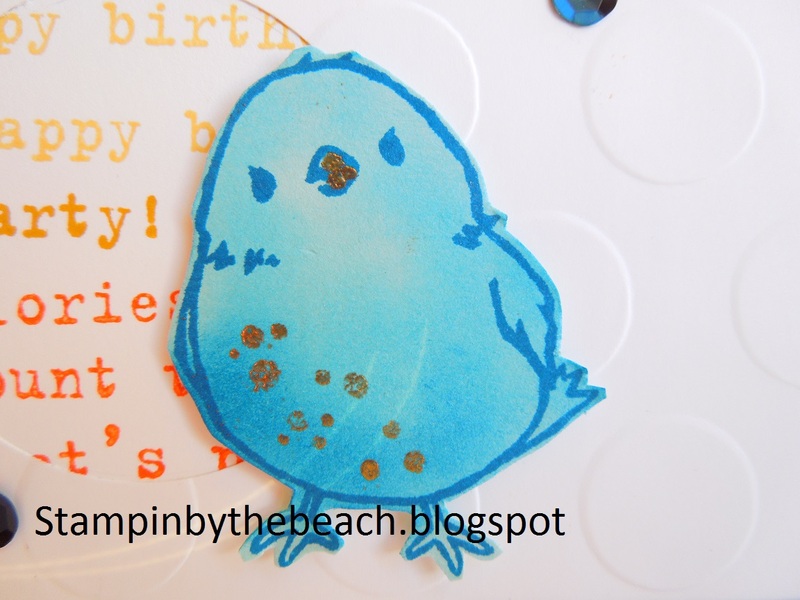 I used an embossing pen to make the gold stripe. 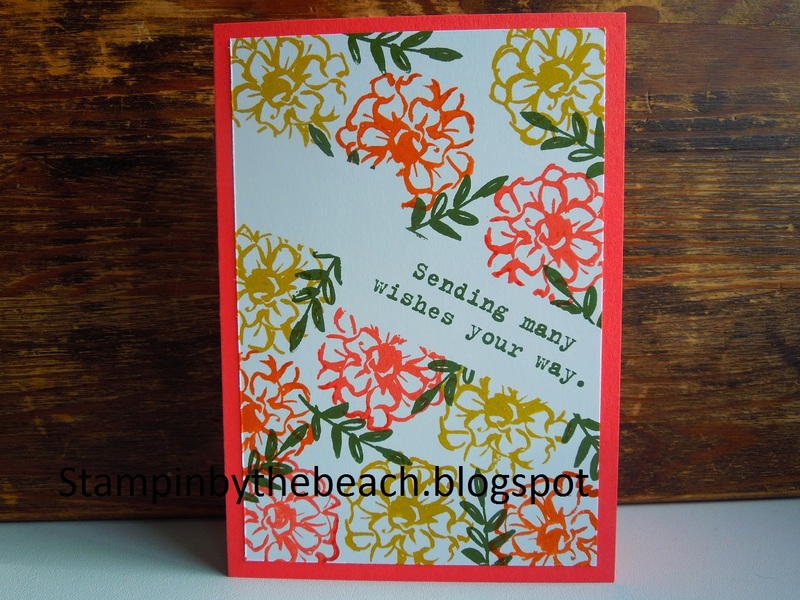 I'm really pleased with the colour combination on this card. I used Coaster Board for the lobster, I really like the board it stands out with out having to use dimensionals , so it's easier for posting. Freezing but sunny here today. 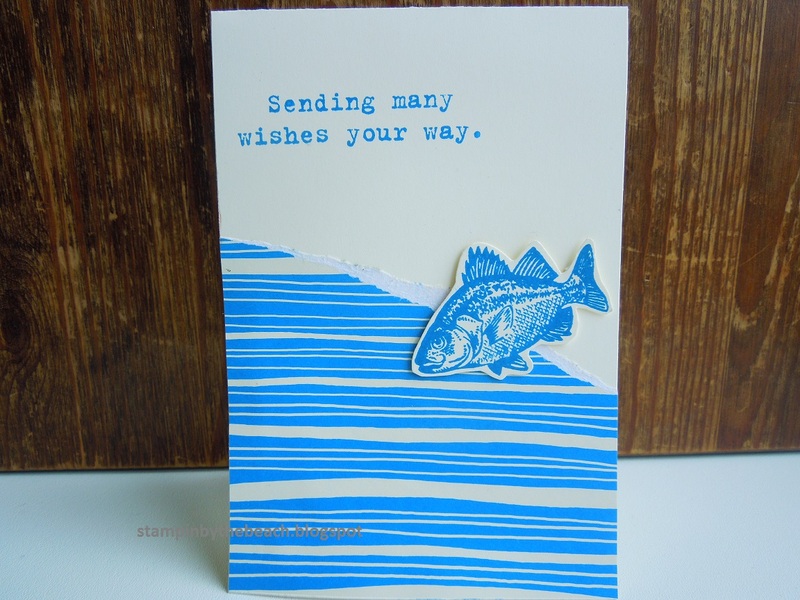 Pleased with the card I put together today, colours are good together. I used Pool Party and Calypso Coral with some silver embossing powder. 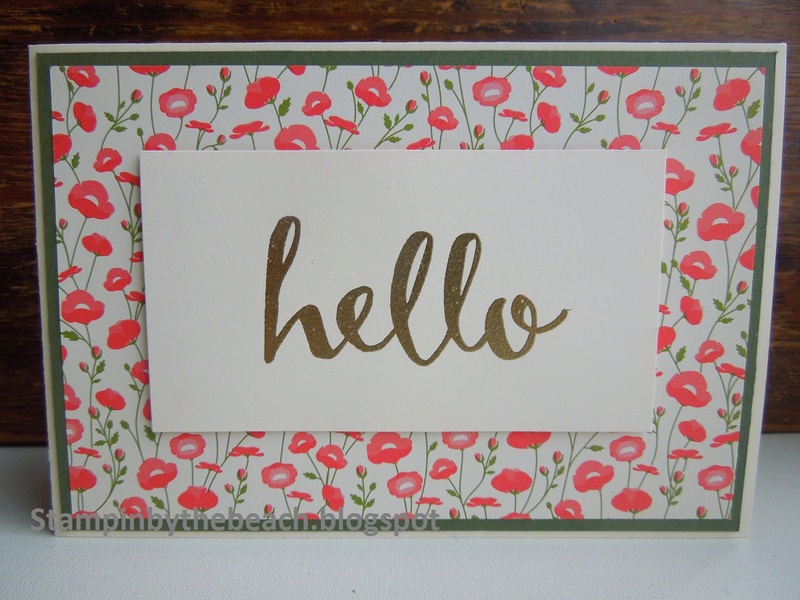 I stamped an envelope to match. Card two of the day, so many challenges to play along with, so little time! 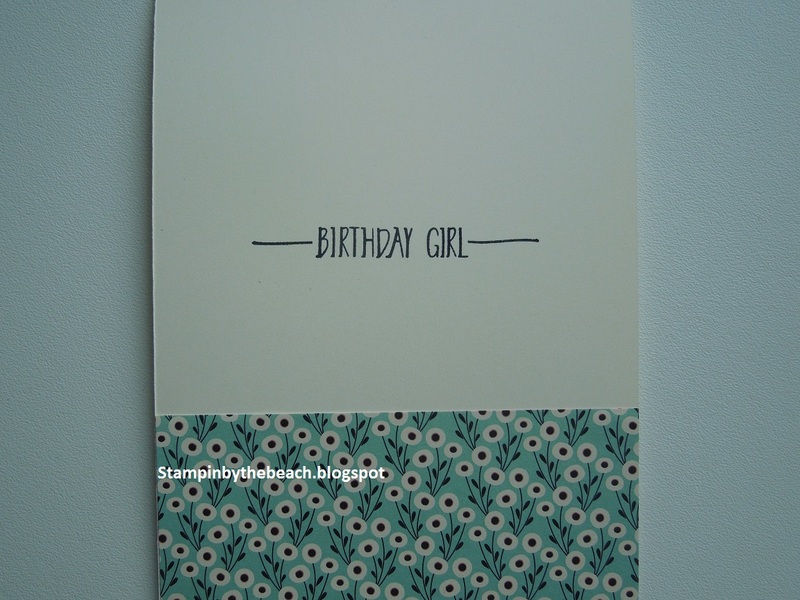 I made a girly card, could be used for Birthday or just a note. I'm loving the polka dots. Its a lovely Monday morning here, it's going to be very cold tomorrow. 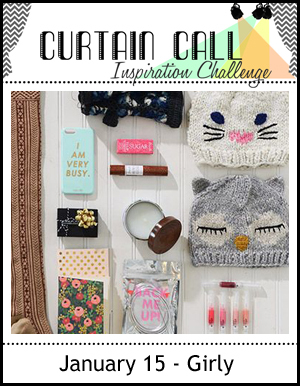 My craft room is in our garage so it can get quite chilly! I took the chance to play along with Case this sketch. 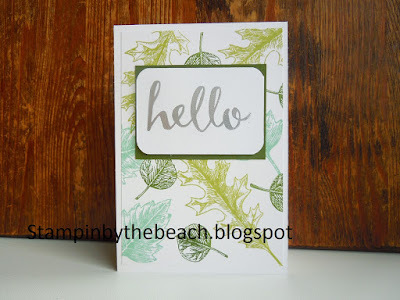 I loved the green and silver colour scheme for this challenge. 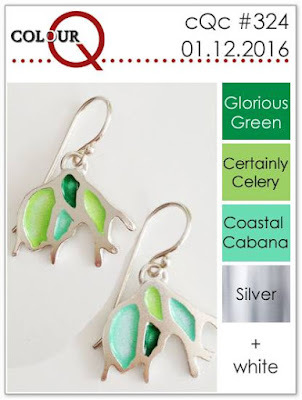 The only greens I have are Pear Pizzazz, Mossy Meadow and Mint Macaron so I used them all! 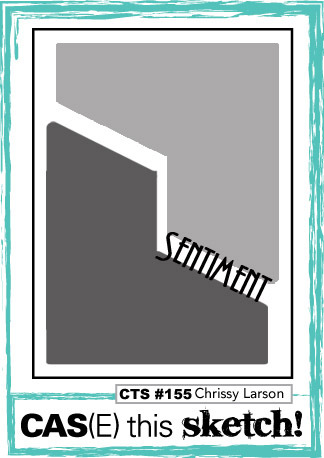 This was a simple card to make but I think it looks effective. A fresh cold morning today. I had the chance to spend some time in my craft room this morning so grabbed it. 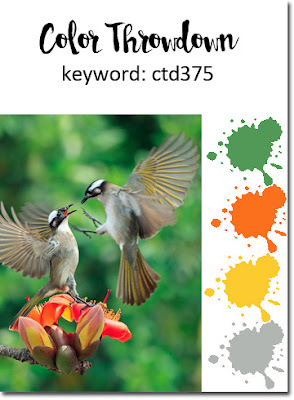 I loved the colours used in the Color Throwdown so made a quick card. 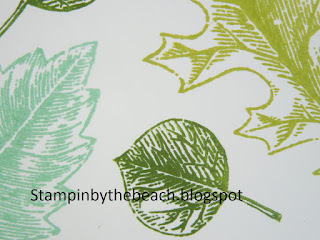 I used the Botanical Gardens stamp set and dies. 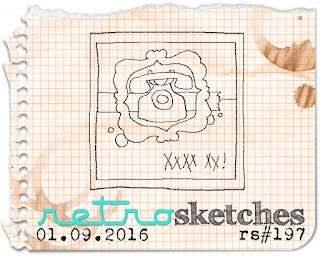 Leaving it to the last minute but decided to join in with Retro Sketch this week. 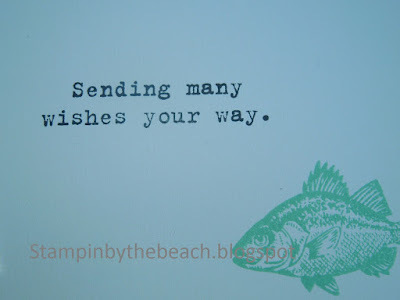 Could not get going this morning and it took four or five goes to get a card I was happy with. Does that happen to anybody else. I used one of the new Sale a bration stamp sets. Spend £45 at Stampin Up and choose a free product. The little chick is really cute. 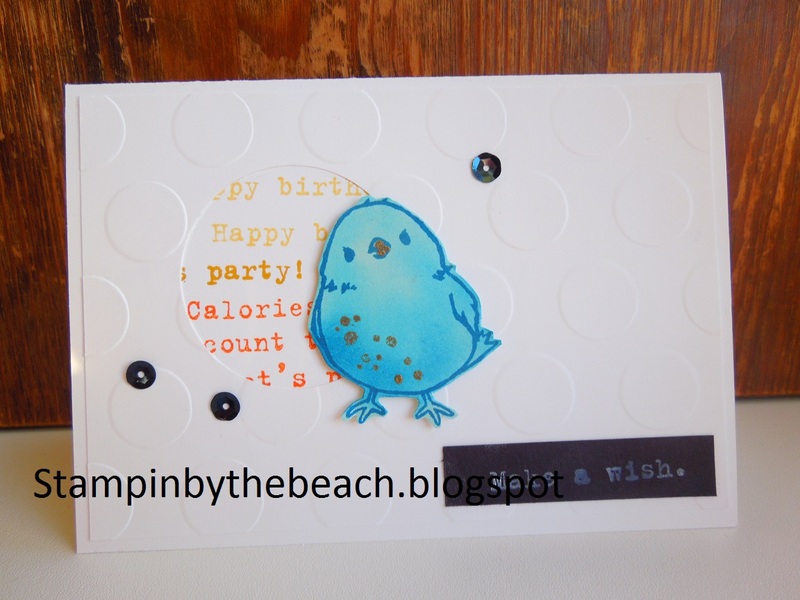 I punched a hole in the layer and stamped different birthday words behind. Another cold wet day in the UK. I joined in with Freshly Made Sketches challenge today. 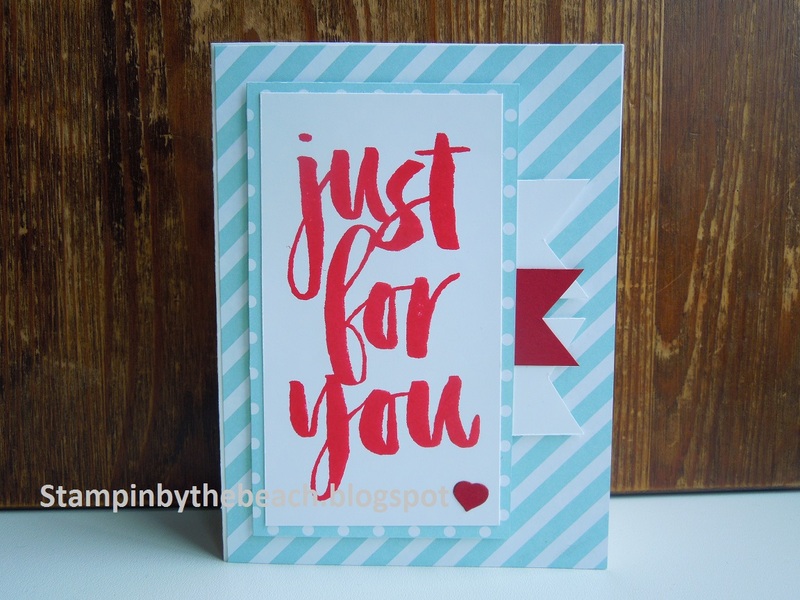 I decided to make a Valentine Card but it could also be used as a Birthday card. 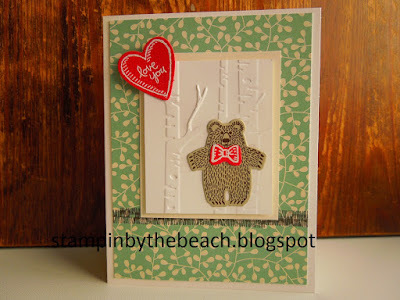 I love this Bear Hugs Stampin Up stamp set and die cuts, so cute. 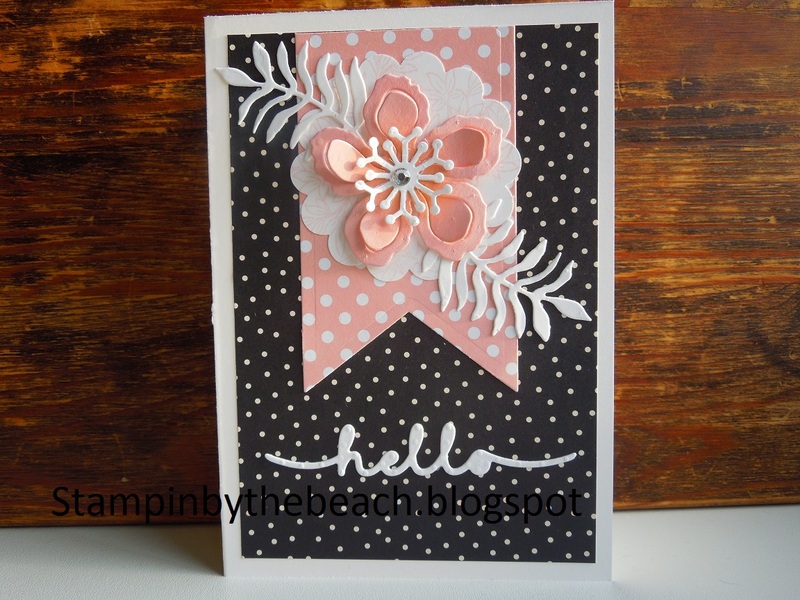 I might make this card again in pinks! 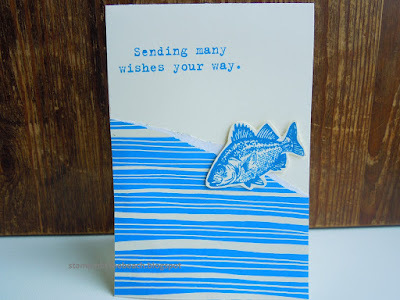 Card number two of the day, on a roll. 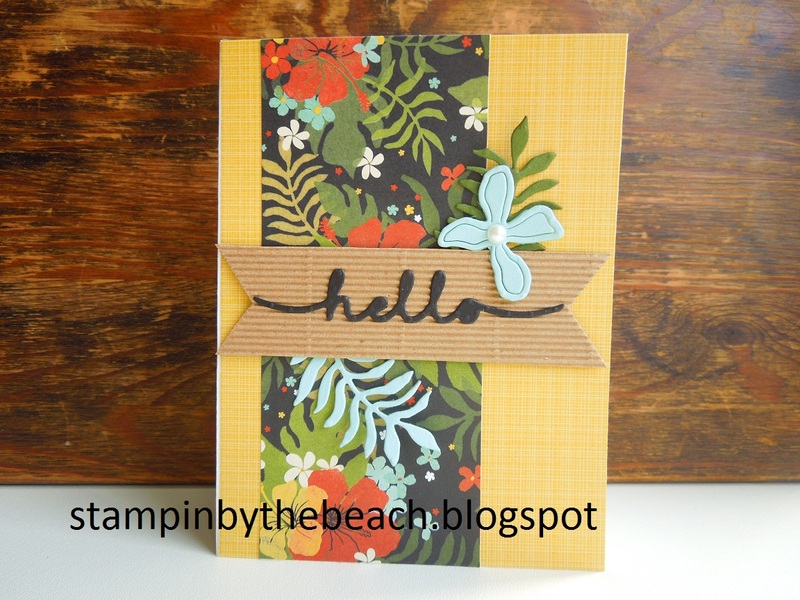 I used three different stamp sets with this card. 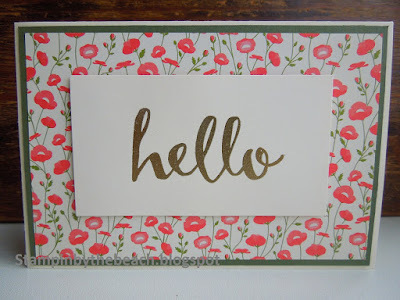 Awesomely Artistic, Timeless Textures and (What I Love) a stamp set from Sale a bration , a freebie you can get when you spend £45 or over. I'm going to use a lot. card with the new Bear Hug stamp and die set. This is a really cute set. It's a horrible wet day here in Essex, cheered myself up by spending some time in my craft room. I've joined in with the Mojo Monday challenge. I started by making a mask with torn paper to stamp my leaves, then I stuck my ribbon and circle down. 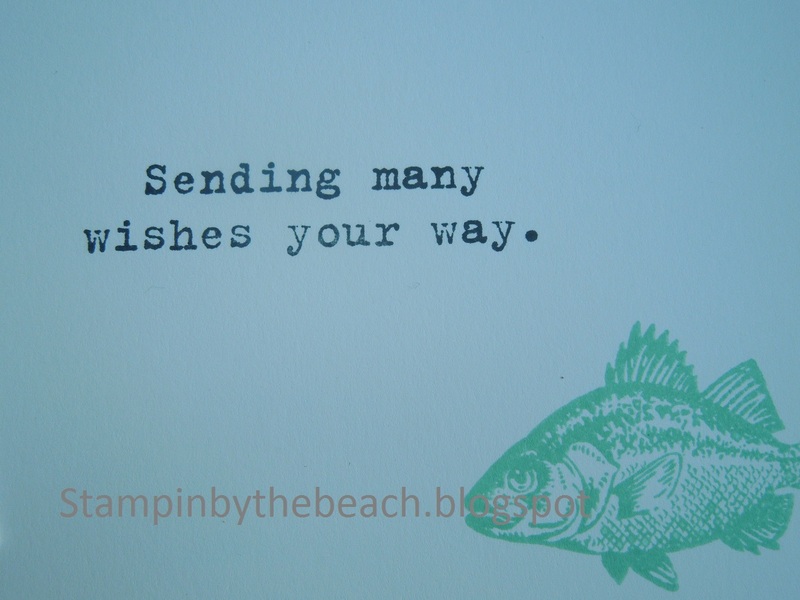 The hello sentiment was tricky to stick but I'm pleased with the result. The die cut leaves finished the card. 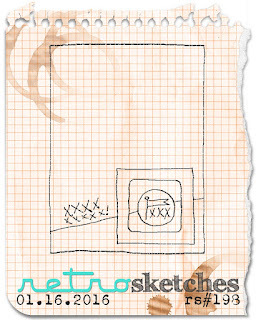 to myself I made a card for Retro Sketch. 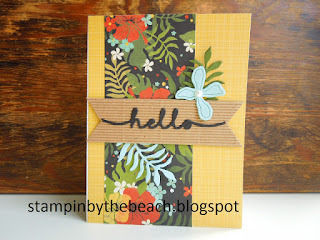 I used the new Botanical DSP and Framelit dies. 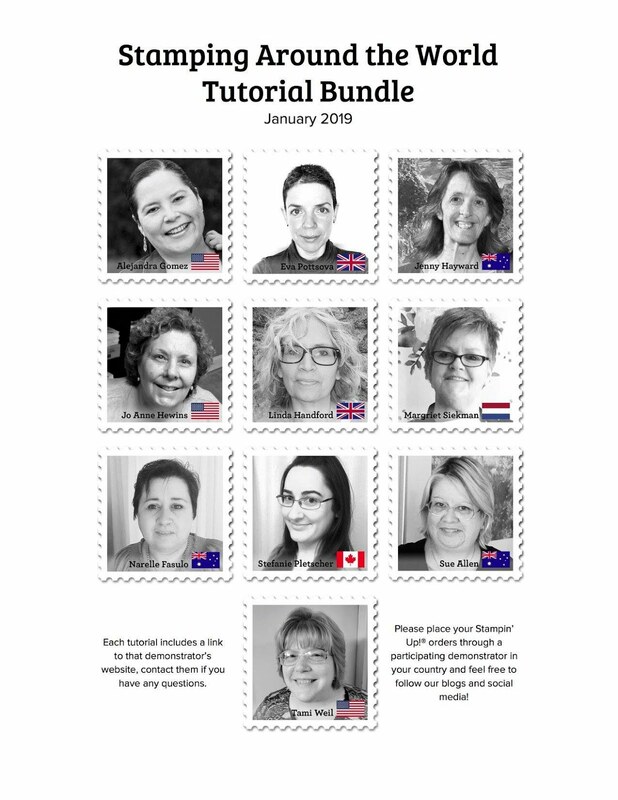 This is a fantastic bundle, you get paper, stamps and framelit dies.